Kalaneta mustard color Organza tissue saree with fancy zari kaddi border and with zari linear lines. 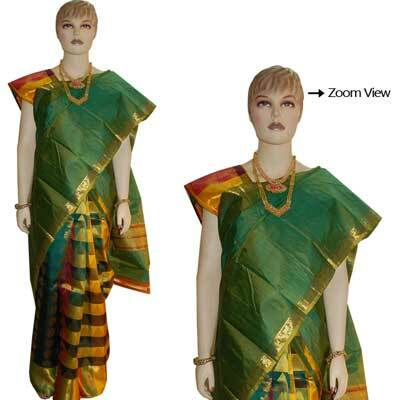 The contrast multicolor plain pallu lines gives a gorgeous look when wore during get-togethers and parties. Blouse piece attached.